Streets are overrated, amirite? All that walking around is so tedious and unromantic. Well, in the Dutch neighborhood of Giethoorn, there's an alternative: canals instead of sidewalks. No running across the street to the neighbor's for a cup of sugar - you must row instead! 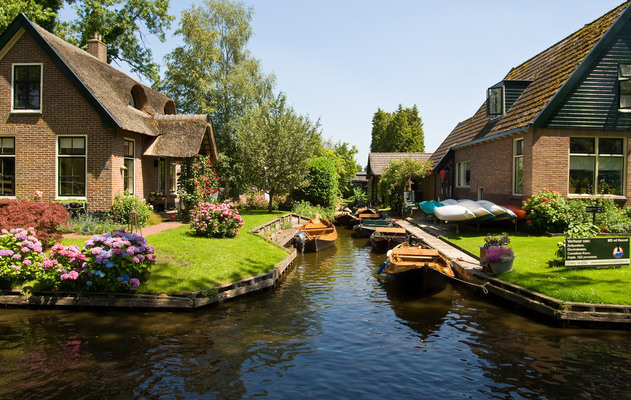 Dubbed "the Venice of the North," Giethoorn is home to about 2,600 residents, all of whom must feel like they're living in a storybook. I'd move in myself, but don't want to pay what must be a premium for flood insurance. Well, here's another place I'm never going to get to. Mostly because I can't stand being cold, and I can barely climb a ladder. But if I were an adventurous mountaineer, I would definitely put the Solvay Hut at the top of my list of places to visit. 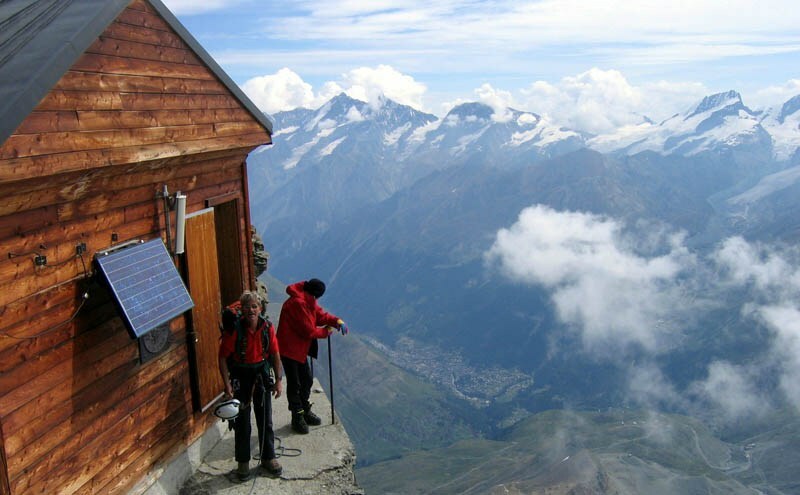 Located on a ridge of the Matterhorn in Switzerland, the hut was built more than a hundred years ago as an emergency shelter for mountain climbers. It earns the distinction of being the highest and, no doubt, most precariously located hut of the Matterhorn. 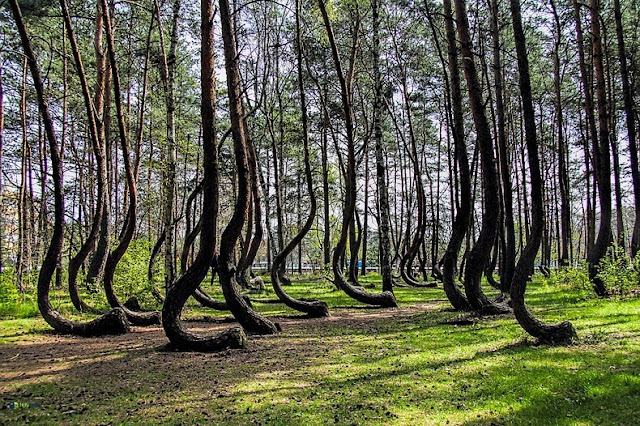 Looks like a fantastic place to hang out, check your carabiners and snack on your gorp. Sometimes a trippy place is right in my own backyard. 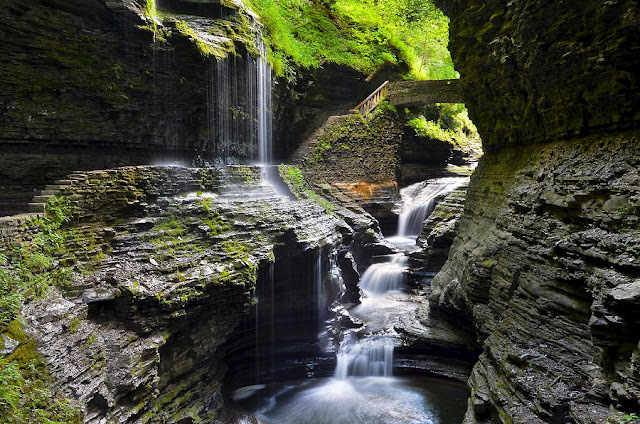 Such was the case with Watkins Glen State Park in New York, which features a gorge trail that looks like a computer screensaver. Everywhere you turn you're hit with another unreal view. Cliff faces carved from thousands of years of stream erosion? Sure, they're here. Waterfalls? There's 19 of them. Beautifully carved stone bridges? Got 'em, and I'll raise you 800 spellbinding stone steps. A place like this is so lush and stunning, you'll feel like a miniature person in a carefully kept terrarium. And who hasn't fantasized about being one of those?